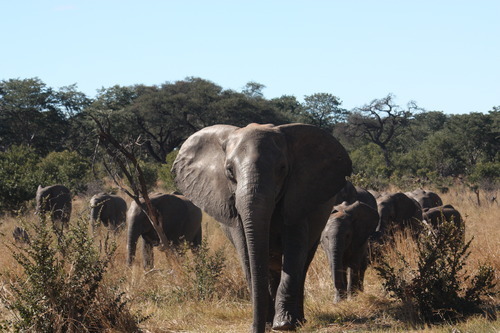 Louisa from our Africa team returned to Zimbabwe last summer, here’s her experience from getting up close and personal with elephants to finding out about Zimbabwe’s history…. Last summer I was lucky enough to go back to Zimbabwe. The last time I visited was in the summer of 2000 with my sister when we spent a week in Victoria Falls, living like kings as the Zimbabwe Dollar value dropped through the floor. So it was fantastic to be back and find the country so much more positive – there was a real feeling that things were on the up wherever we traveled. 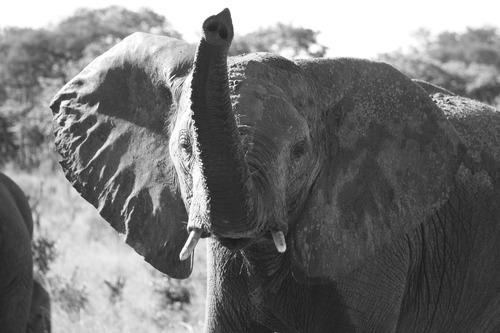 One of the highlights of our trip was Hwange National Park – packed as it is with pachyderms. I just love watching elephants, and this is the place to be to see enormous herds. We couldn’t believe our luck when we arrived at Somalisa Camp to see a herd walking towards camp. We made a call and decided to spend the afternoon by the pool and miss the afternoon game drive. Which was the right call to make; I can highly recommend an afternoon by the pool at Somalisa. I use “pool” in the loosest term as effectively it is another watering hole for the elephants that dominate Hwangwe National Park. Its fresh, clear water is a mecca for ellies, much tastier than the muddy waterhole, and on that afternoon I spent a wonderful two hours barely drawing breath as a breeding herd of eighteen ellies came down to quench their thirst, including some tiny calves, small enough to fit under their mother’s bellies meaning they were less than a year old. We sat within meters of them with only a small pool of water separating us but felt completely safe. Seeing these magical animals at such close quarters is a privilege and experience you will find hard to beat. Close encounter with one ellie! Another unexpected highlight was The Matopos, an area of outstanding beauty, where huge boulders balance precariously on top of one another amongst lush green foliage. 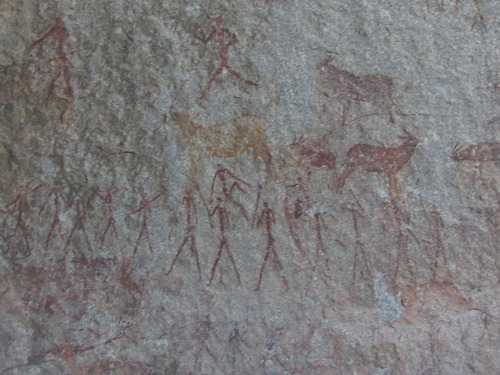 The area is also a significant part of Zimbabwe’s history; not only did the San bushmen leave more than 3,000 rock art sites in their wake but the Matopos is also the final resting place of African pioneer Cecil John Rhodes. Our walk up to his grave at sunset with Paul Hubbard as our guide was exceptional as brought this small part of Zimbabwean history to life. He is a born raconteur and a must have addition to any trip to this corner of Zimbabwe; his knowledge of Cecil Rhodes’ life and history of the area and country is unparalleled. 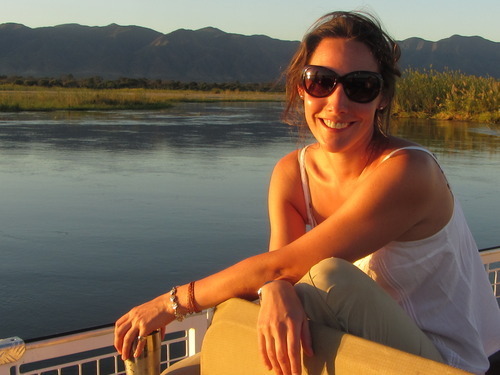 We loved spending time in Mana Pools, in Zimbabwe’s north, and bordering Zambia’s famous Lower Zambezi. Our days were spent walking, driving and canoeing through spectacular landscapes observing an abundance of game. There are lodges in Mana Pools to suite everyone from the luxurious Wilderness Safaris Ruckomechi Camp, to Kanga Camp, set away from the river by a peaceful lagoon. For those with a more adventurous streak there is Goliath Safari Camp, with simple Meru style tents owned by legendary guide Stretch Ferreira, known for his knowledge and close bond with the bull elephants in the area – as a result of this bond he is able to walk among them in relative safety. This was my third visit to The Victoria Falls, which never fail to impress me. 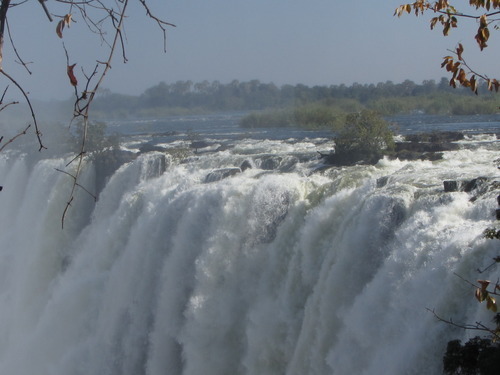 Nestled between Zimbabwe and Zambia the Zimbabwean side has the distinct advantage of no less than 18 viewing points. Some of these are set precariously close to the gorge offering quite literally a bird’s eye view of one of the seven natural wonders of the world. 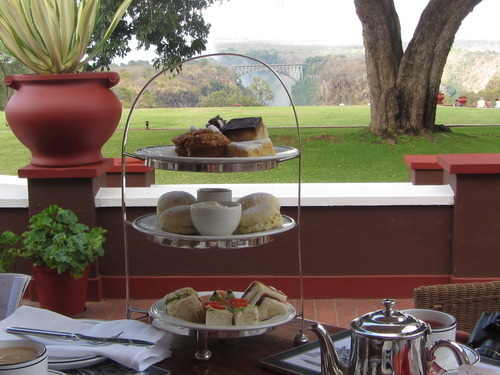 There is so much to do in and around the Falls from bungee jumping for the brave, white water rafting or a leisurely tea at the iconic Victoria Falls Hotel. One question I was asked endlessly before my trip was ‘Is it safe?’ Zimbabwe does have a chequered history, which has been splashed across more than one front page. From my recent trip I can honestly say the safari parks and private reserves, camps and lodges are looking better than ever. My journey was by road and air, and as I traveled I met some of the most vibrant and enthusiastic Zimbabweans who are passionate about their country and are just desperate to keep getting on with things. I could not agree with them more.